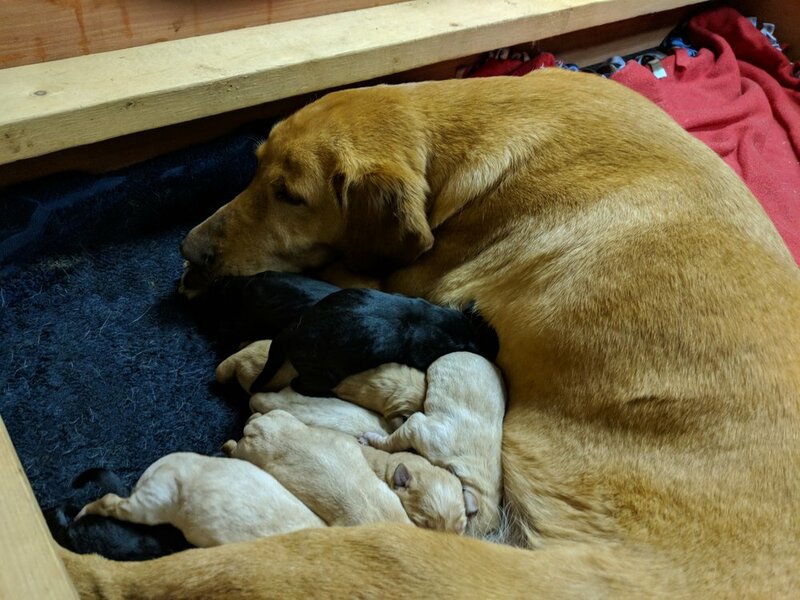 After a long delivery through the early hours of 3/13/18, we've got ten healthy puppies. 3 Black males, 1 Black female, 2 Yellow males, and 4 Yellow females. Ruby and pups are doing great. Check back with our blog to see how puppies are growing.